How do you go about remaking undoubtedly one of, if not the greatest, zombie cinema experiences of all time and a film that can rightfully say it was there as zombies learnt to take their shambling formative big screen lurches? Ok there had been zombie films before, most notably Romero's own 1968 seminal Night of the Living Dead but Dawn of the Dead marked a turning point securing zombies place in popular consciousness and culture, and cemented much of the zombie canon that we know and love today. 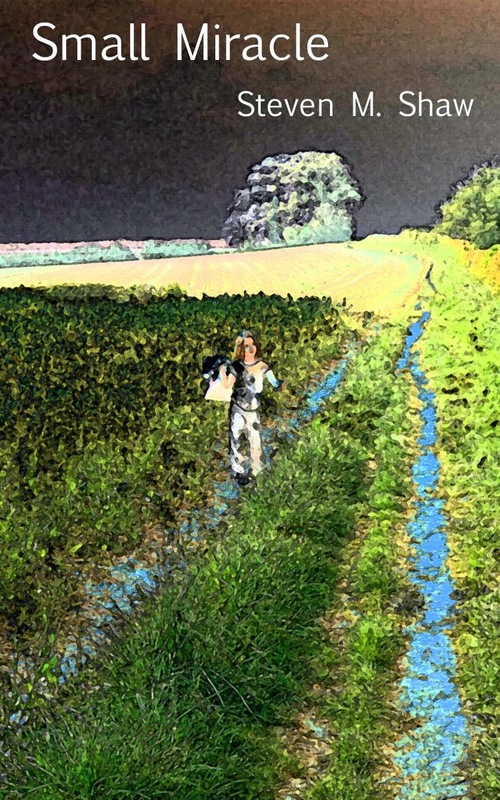 This was the task director Zack Snyder set himself and armed with bigger budget, and access all the latest and greatest special effects, to cut to the chase, nearly pulls off. An explosive opening set of scenes sees nurse Ana (Sarah Polley) escaping from what has turned into a suburban nightmare. Fleeing from her family home and now homicidal boyfriend, Ana twists and weaves through rows of identical looking houses on identical looking streets as friends and neighbours are being ripped open and torn apart. There's no slow tense thirty minute stack of cards being built up to be knocked down in this film. It's not long before Ana regaining consciousness after a crash teams up with Police Sergeant Kenneth Hall (Ving Rhames) and the only other genuinely reasonable and level headed member of the group Michael (Jake Weber). Shortly after they bump into Andre (Mekhi Phifer) and his pregnant wife, Luda (Inna Korobkina) who are retreating from the opposite direction. Seemingly cut off from both sides with no place to go the group follows the original film's lead and makes a bee line for a large secure looking shopping mall. Romero's Dead films always relayed social tensions and anxieties of the time, so whilst set in the same location as the 70's original, the mordant undercurrents commenting on societies fear and the absurdities of commercialism is gone, as perhaps it should be. Without this though the film ends up relying solely on the tried and tested formula of seeing how a disparate group interacts and copes with surviving the disintegration of the rules and norms of society amid the constant backdrop of fear and loss. Arguing their way past three stubborn security guards who only grant them entry with big conditions, the disarmed and imprisoned heroes find themselves facing and I've said this before in other zombie survival story reviews, the biggest threat to their survival other that the crazy undead horde knocking on the door, each other. 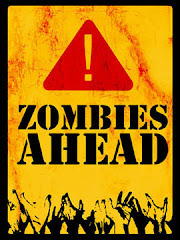 What makes or breaks a good apocalyptic zombie tale of survival is the choice of characters and the dynamics that spin out, and whilst entertaining and engaging those of Dawn of the Dead are a little cliché and unimaginative. Joined eventually by a rich assortment of extra personalities who arrive dramatically by lorry including wealthy bottle swilling yacht owner (Ty Burrell), the ensemble make a good solid and believable cast and help drive the narrative, but they're all a little obvious, shallow and forgettable, and there's never much room given for twists or subtlety. Gone are the trademark Romero slow shambling blue undead, and what we have are fast and frenzied and much more lethal looking creatures who have more in common with Danny Boyle's creations from 28 Days Later, who made their appearance a couple of years earlier. The undead of Dawn of the Dead are terrifying, deadly and don't muck about when it comes to hunting down and getting their teeth stuck into any available human flesh. Unlike Romero's slow ghostly parodies of their former selves who rarely seem to pose much threat on their own unless they're in close proximity, there's no room for error with Snyder's blood hungry runners, who don't get distracted or tired, and always catch up. It's here the bigger budget and more advanced special effects show there worth; individually the effects and makeup are as good as you're going to see and there's never a need to suspend disbelief, but en masse I don't think I've ever seen a zombie mobs so dense or mind-numbingly immense. 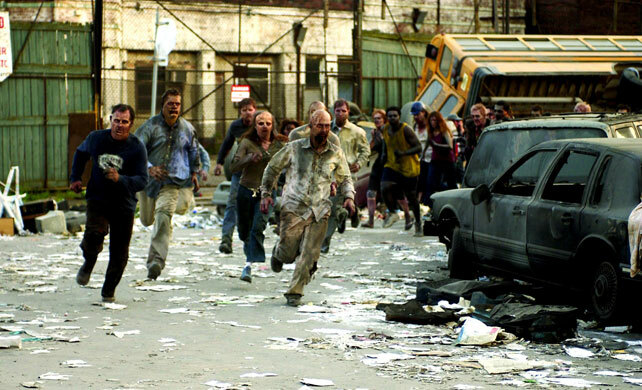 In the original you were always aware of the idea of a vast numbers of zombies swarming round the mall but they were always spread out in pockets but in this new version Snyder has taken the idea of horde to a new level with what appears to be thousands of undead all swollen and packed as one. It's really quite breathtaking. What Dawn of the Dead does do well is create very well put together, tightly crafted action horror film full of suspense, shocks and drama, and whilst possibly being a bit formulaic like it's characters, it does offer a lot of nice touches throughout and a few genuine moments of originality. The relation the group has with Andy (Bruce Bohne) who is stranded alone on the roof of his gun store, across the zombie-infested parking lot is entertaining and poignant and the climax to the Andre/Luda scenario is shocking and a sharp reminder that outside the relative safety of the mall to what depths the world has fallen. There are just not enough of these moments though and the film treads an all too familiar and safe path too frequently. Remakes are notoriously tricky affairs and remakes of great films that have ingrained themselves into popular consciousness and the mainstream psyche are impossibly so. Despite this, what Snyder has actually managed to achieve is remarkable producing a film that pays acceptable homage to it's origin whilst spins a high octane constantly enthralling tale in it's own right. 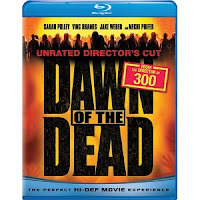 The best of the Romero remakes, Dawn of the Dead is a gruesome action packed spectacle with very few flaws. It doesn't have the wit, originality or verbosity of the original but it's a stylish standout testament to the genre. Darker, gorier, more brutal, 7/10.